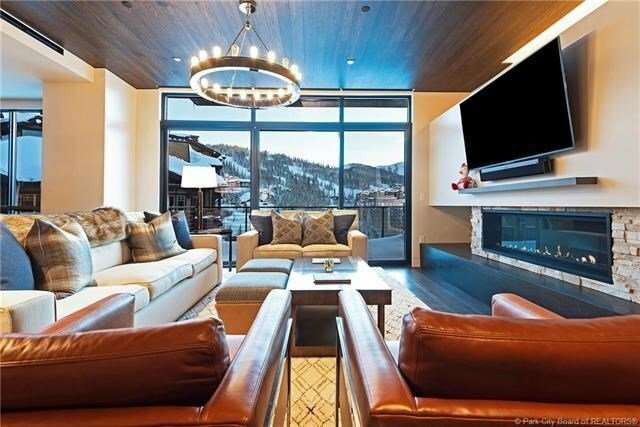 This is One of the Top view properties in Deer Valley! Spectacular floor-to-ceiling window walls offer unobstructed mountain views. The floorplan integrates the living, dining and kitchen areas in this view home with 2,350 sq. ft., 3 bedrooms, 3 baths, + den/media room. All of the bedrooms have private baths and the third bedroom configures easily into bunkroom for six. One Empire Pass is a boutique ski-in/ski-out community with unprecedented views and exceptional recreational and social amenities. Expansive floor to ceiling window walls and see-through' balconies allow each residence to take full advantage of the forever-unobstructed views. Each residence enjoys convenient direct elevator access that allows each home to flow through the entire width of the building. The innovative amenities include a live-in Resident Manager, an outdoor spa deck with spa pools and hammock garden, ski lounge with bar, ski lockers and gathering areas, game and kids' rooms, plus a fitness center.